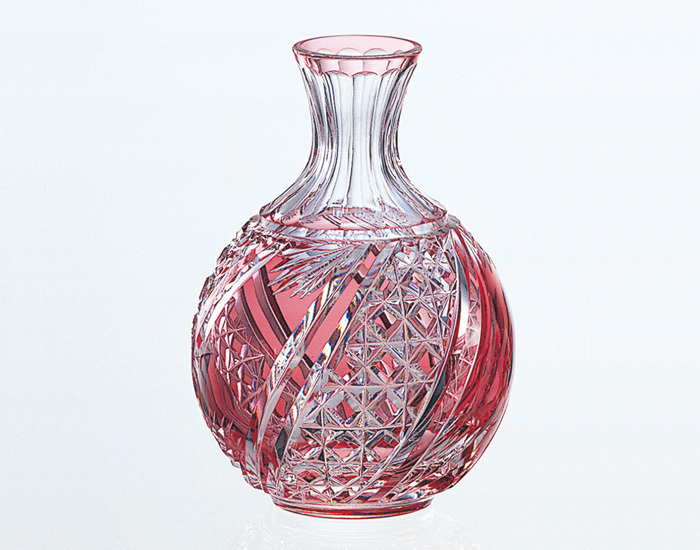 Size, appearance may vary due to hand made work. This astonishing Edo Kiriko cut glass clearly depicts the master work of the skilled artisans. 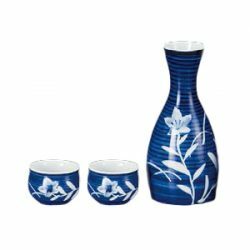 The Edo Kiriko glass cut patterns called Shikaku Kagome (grid-looking style) and Nihon Mizo (double lines) are used on this Edo Kiriko Sake Set. 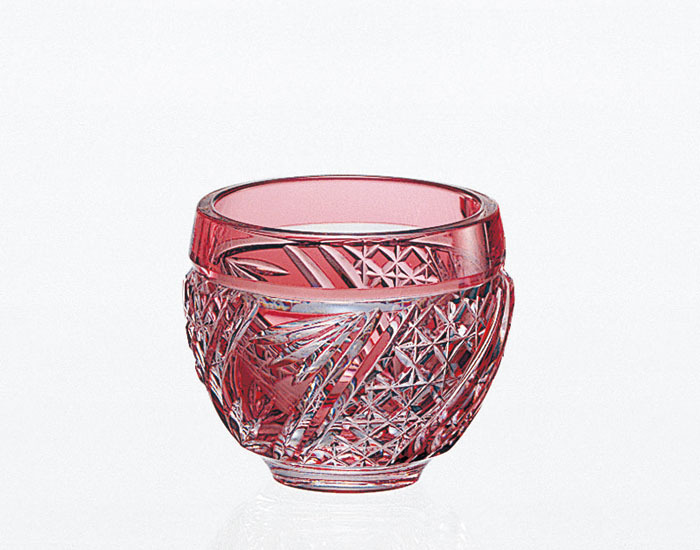 The contrast between clear glass and the vermilion color that’s peculiar to Edo Kiriko cutting method represents the atmosphere of the good ol’ Edo Period. 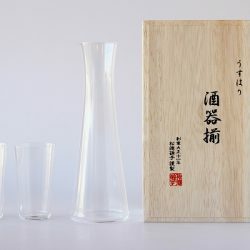 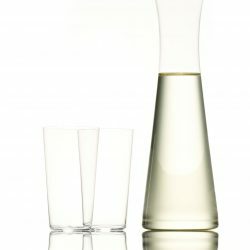 Designed by Akio Kimura, this jewel-like Sake set is hand made by skilled artisans at KAGAMI CRYSTAL, the royal glassware brand who has presented glassware to the Imperial Family of Japan and the Government of Japan for the past 70 years. 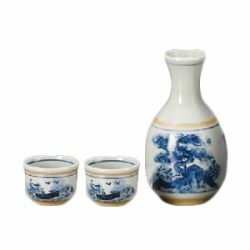 Their glassware is also used in all Japanese embassies and consulates in the world, as well as in dinner parties with national guests such as the royal families and presidents/premiers of foreign countries. 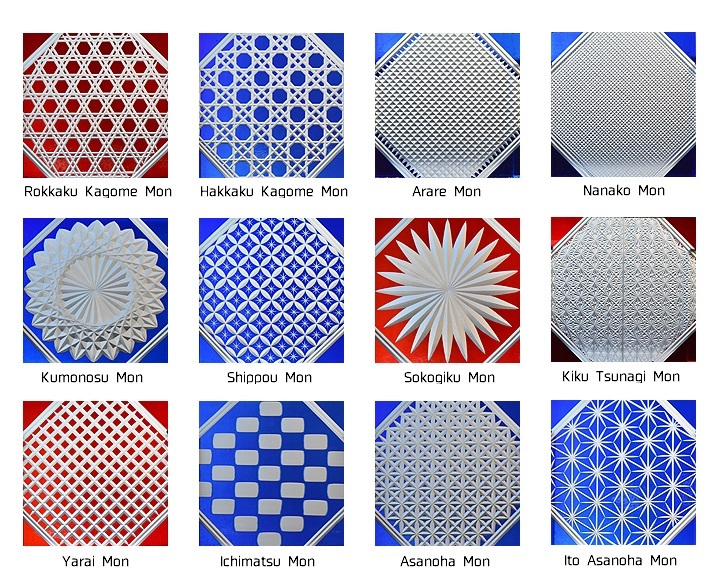 Edo kiriko, or cut glass, is a traditional craft of Japan in which clear colors and delicate patterns are cut into glass. 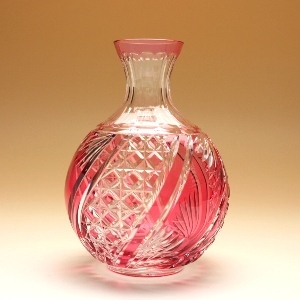 Edo kiriko cut glass was founded more than 170 years ago in Edo Period in Edo area (today’s Tokyo area). 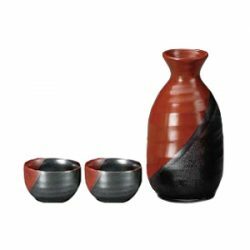 The traditions and techniques since Edo period have been handed down from artisans to artisans in this area until today. 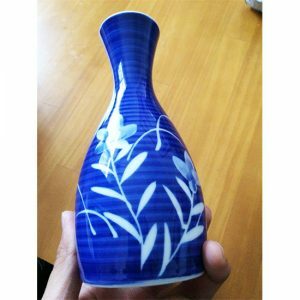 This hand made method requires very high skills, which can only be obtained after at least 10 years of training. 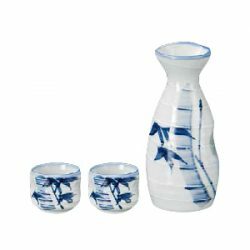 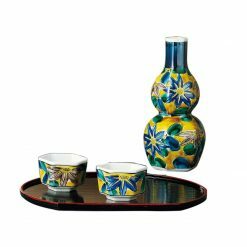 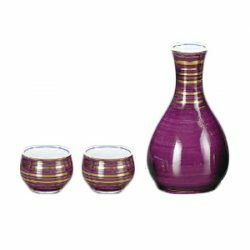 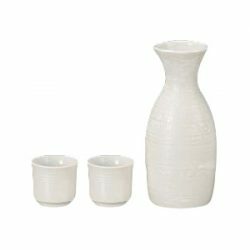 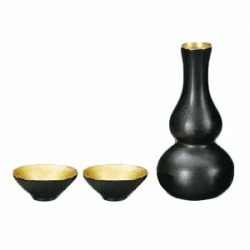 Edo Kiriko Sake Set is a great gift idea. 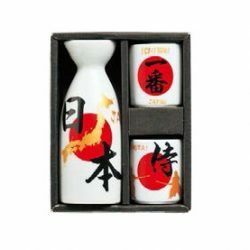 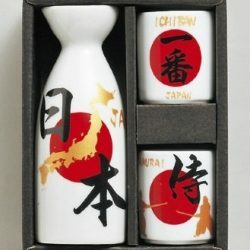 The sake set comes in a wooden box, therefore can be presented for anniversaries, celebrations and to those who love Japan. 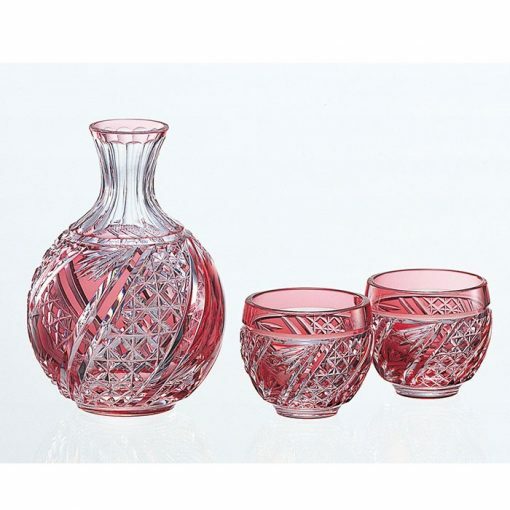 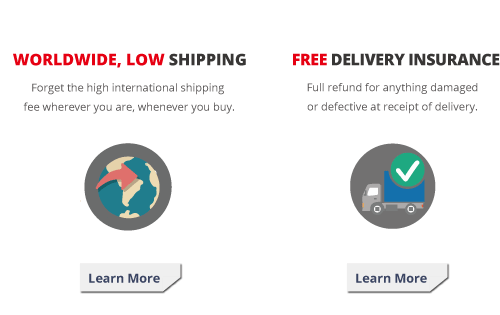 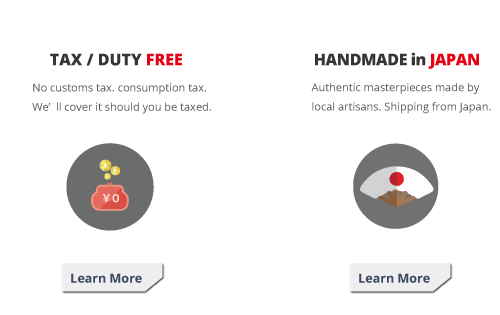 A bit pricey, but you’ll know why as soon as you see the kiriko glass. 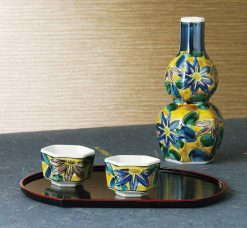 The shiny Edo Kiriko with vivid coloring will surely be the gift that will be favored by the recipient for a long time. 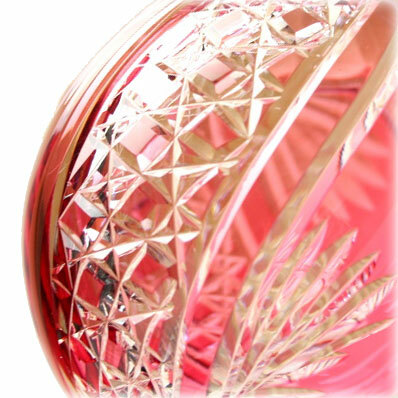 From the beautiful patterns, you can see the delicate work of master artisans.